Within the Natural Hair Community we are always looking for a product that will help combat dry brittle hair. Dry hair is the number one complaint from Naturalists all over the world. At This Curvy Girls Life, we decided to give a new product on the market a test to see if it lived up to the claims of Repairing, Healing, Strengthening and adding Moisture. 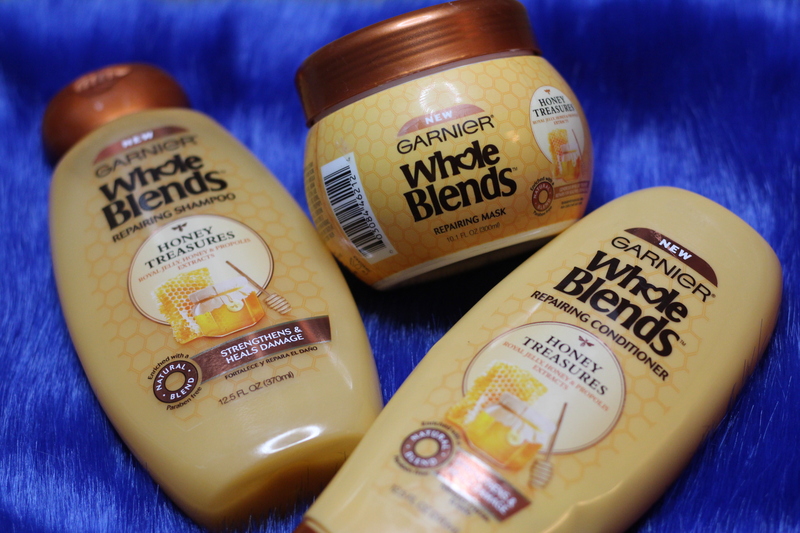 Here are 3 reasons my Natural Hair Loves Garnier Whole Blends Honey Treasures. Reason #1: The Repairing Shampoo. I prefer a shampoo that gets the hair clean but doesn’t leave my hair feeling like it’s been stripped of all of its natural oils. The Garnier Whole Blends Repairing Shampoo cleans my hair and scalp without feeling like I’m in dire need of a conditioner, deep conditioner and coconut oil treatment. The hair feels clean but also moisturized at the same time. The Royal Jelly, Honey and Propolis extracts really gives the hair moisture and I’ve noticed that my hair feel stronger since I started trying the product. The shampoo didn’t have much slip for tangling, but I was okay with that because I prefer to detangle with conditioner. Reason #2: The Repairing Conditioner. This is where I truly see the benefits of the Royal Jelly, Honey and Propolis extracts. Honey is a natural humectant that draws moisture to the hair and the formula of this product has definitely given my hair more moisture after washing. I tend to use less moisturizing products after washing and conditioning, which has resulted in lighter, fluffier hair. I usually have to have add so much product to keep my hair well moisturized for a couple of days and then I need to reapply, but since using these products, I’ve only re-moisturized once a week and that’s more or less because my hair is starting to get frizzy not due to dryness. The conditioner has decent slip, I’ve tried conditioner with better slip, but detangling was still easy and I didn’t shed a lot of hair. Reason #3: The Repairing Mask. I’m all about deep conditioning my hair weekly to maintain a good moisture level and this Garnier Whole Blends Repairing Mask, has been my go to for several weeks. 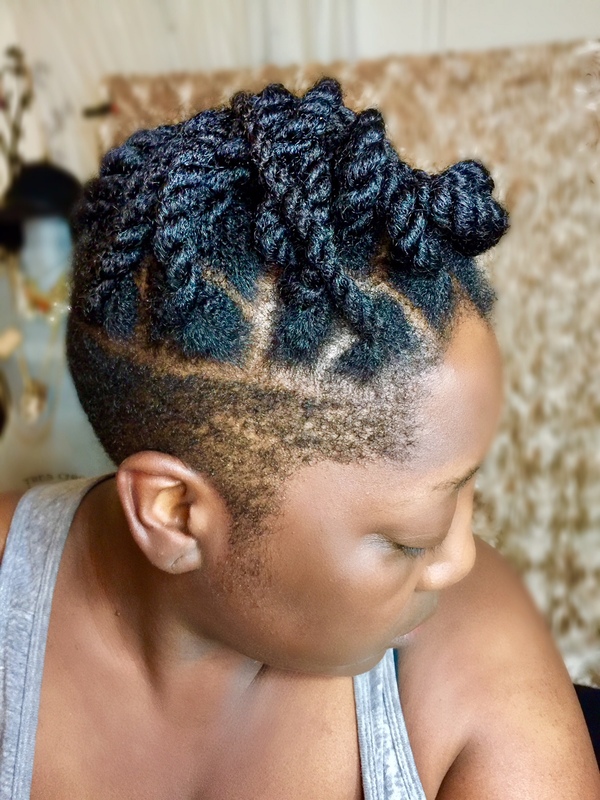 I believe that using all three products together have helped to strengthen and keep my hair well moisturized, but I have to admit that I think the mask has been the product that has taken my hair to new levels. Over the years, I’ve noticed that my hair gets drier in colder weather and has more of a tendency to break since I like to wear hats and beanies during this time of the year as well. Recently California has gotten more rain than previous winters so hats and beanies have been my go to. I just knew that I would see dryness and possibly breakage, but I haven’t seen any at all. As a matter of fact, this winter, I can honestly say my hair is my stronger and healthier. All of the Whole Blends Honey Treasure products claim to strengthen, Repair, Heal damaged, correct split ends and breakage and this is a huge claim. Many products say the same thing but never work. However, I can honestly stand by the Garnier brand which I’m surprised by. Not to say that I wasn’t a Garnier fan, but I felt that the products were not marketed for ethic hair. What drew me to this particular product was the honey. I knew that honey was a natural humectant and I needed moisture so I thought “why not give it a try.” I’m happy I did and even happier that I can find it at my local drug store for a reasonable price. overall, I’ve used this product for over a month, washing my hair once a week and deep conditioning. I still have plenty of product left to go another month. In a month’s time my hair is stronger, I’ve seen less breakage and my hair is holding on to its moisture level longer than before. Would I buy this again? YES! Without a doubt! The Whole Blends Honey Treasure is quickly becoming one of my staple products. Have you tried the Garner Whole Blends Honey Treasure line? What did you think? My Hair after after being washed and conditioned Garnier Whole Blends 3 days prior. Still has lots of moisture and great shine!